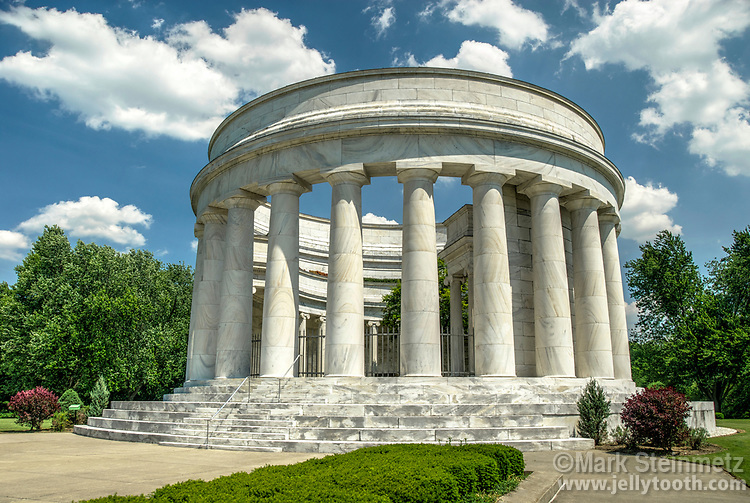 The Harding Tomb, also known as the Harding Memorial, is the burial location of the 29th President of the United States, Warren G. Harding and First Lady Florence Kling Harding. The columns are built of Georgia white marble in the style of a classical Greek temple. Marion, Ohio, USA.